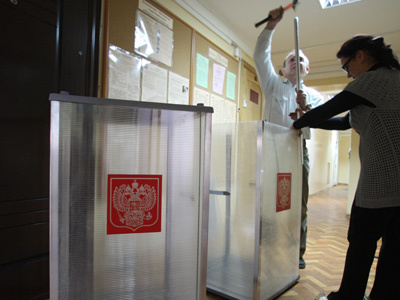 Two representatives of the Voters’ League have expressed doubts about Prime Minister and presidential candidate Vladimir Putin’s offer of mandates to allow League members to monitor next month’s poll. However the League, set up to promote fair elections and protest against violations in the wake of December’s disputed Duma poll, have agreed to discuss Putin’s proposal. Journalist and writer Sergei Parkhomenko wrote about his doubts on Facebook, but added that the League would definitely send its representatives to Putin’s election headquarters to discuss participation in the monitoring mission. "We want to know how many mandates Putin's headquarters will give to our monitors and at which polling stations they will be present," Parkhomenko wrote. Another founding member of the group, political scientist Dmitry Oreshkin, said the League welcomed the prime minister’s offer. "It is good that Putin's headquarters are ready to cooperate with us, but concrete decisions will be discussed at a League meeting next week, most likely on Monday," Oreshkin told the press on Friday. On Thursday afternoon, Putin’s election HQ published a letter to the leaders of the Voters’ League inviting them to act as monitors of the March 4 presidential election. The day after the invitation was published Putin’s press secretary, Dmitry Peskov, warned the League against excessive bargaining and criticism. “If we are talking about cooperation and dialogue, this is first of all about cooperation and mutual explanation on all modes of this cooperation. 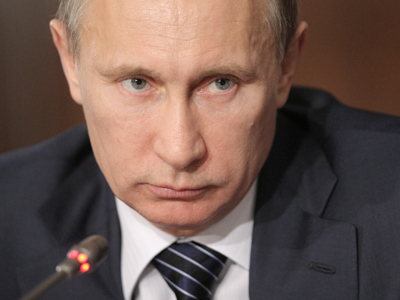 And blaming each other does not fall into the cooperation category,” Peskov said. Also on Thursday, the leader of the Communist Party of the Russian Federation, Gennadiy Zyuganov, who is also a candidate, said he would be happy to help the League by offering itsmembers some of his party’s allocated monitoring mandates. At the same time, Zyuganov said that neither independent monitors nor the web cameras that are now being installed at polling stations on Vladimir Putin’s initiative can fully safeguard against vote-rigging. “We all should remember that the protocols are not being rewritten before the web cameras, they are rewritten in quiet offices of the heads of administrations and territorial commissions. There are no webcams there and no monitors and no journalists,” Zyuganov said. The Voters’ League has openly invited all presidential candidates to offer the group a portion of the monitoring mandates that are issued to each candidate in limited quantity.